Typically, special times of the year like the holidays, birthdays, and anniversaries are supposed to be filled with happiness, contentment, and feelings of love and thankfulness. However, these occasions can also be difficult to deal with when you are struggling with difficult personal matters like anxiety, depression, or even issues like addiction. Sometimes it’s hard to deal with the stress of these holidays and special occasions. It’s easy to fall deeper and deeper into a dark place when you feel stressed or guilty when special occasions arrive — as if you aren’t meeting others’ expectations. However, it’s important to remember that there are many meaningful ways to celebrate with your loved ones throughout the year (without overwhelming yourself). Finding the right balance between stress and mindfulness is naturally easier said than done. However, when the holidays roll around (or during summertime, when it seems as though everyone has a birthday), taking the right measures to keep your mind and body-centered, while also keeping up with your obligations will be essential. Whether it’s Valentine’s Day or Thanksgiving, the holidays can quickly turn stressful and frantic. This can be wearing on your already cluttered mind and lead to an array of overwhelming emotions. However, it is possible to maintain your sanity and health while still checking off all the boxes on your to-do list. Keeping it simple. It can be tempting to go overboard with gifts, parties, and dinners when it comes to birthdays and holidays. However, sticking to the basics can help ensure you aren’t overwhelmed and can actually enjoy yourself at said gatherings. Moreover, having a simple menu and decor will keep the focus on the time spent with loved ones conversing and laughing, rather than all the (unnecessary) money and time spent on an over-the-top party. Accepting a helping hand. Another temptation is to reject offers of help from friends and families when you’re hosting a special occasion. However, most people are willing, if not eager, to help with those small tasks on your list. Furthermore, you can (and should) utilize the unique talents your guests have, whether they’re the crafty type or have an eye for decor. It might feel like a burden, but most people actually like to be involved; it will also help reduce your workload, allowing you to truly savor the party. Setting aside some you-time. While the holidays tend to focus on giving to others, it doesn’t mean you have to completely forget about yourself in the process. If anything, self-care during the holidays is essential! Putting aside time to do your favorite holiday activity — watching your favorite movies or paying a little extra for relaxing massage — can help you manage your stress better. If you take care of yourself first, you’ll have more time and energy for others. Granted, some pressure is okay and totally normal, but don’t overwhelm yourself to the point of feeling disconnected from your special occasions. These moments are all about making memories, forming bonds, and enjoying each other’s company, so don’t let stress stand in the way of that. Another occasion that tends to be overwhelming is anniversaries. Whether you and your significant other have been together 3 years or 30 years, celebrating your anniversary is one way to commemorate the love and happiness throughout your relationship (while looking forward to the future). With that being said, figuring out the best way to celebrate each milestone can quickly become stressful, and the pressure to really wow your S.O. can actually make you lose sight of the reason behind the occasion. While you might be struggling with the chaos within your life, remember that your partner has always been a loyal and supportive ally in your life — and they always will be. It’s not worth stressing over the finer details when it comes to your anniversary. Instead, work towards simply celebrating the connection and love between you and your partner. Sometimes the anxieties surrounding special occasions don’t stem from the stress of gifts and events, but from matters involving estrangement, loss of a loved one, or addiction. These kinds of personal troubles and heartbreak can make the holidays and anniversaries even harder to cope with. Nothing can take away the pain from these circumstances, but there are some ways to ease it. It will require a lot of strength and processing, but sometimes we have to acknowledge that there are things out of our control. Of course managing all of the stress, grief, and pain can feel overwhelming at times, sometimes impossible. However, it’s crucial to remember that these situations shouldn’t strip you of all happiness. Finding things — people, places, moments — to be thankful for can turn an otherwise solemn occasion into a reflective, calming, and hopefully happier one. When you look back on your life, will you want to remember the exhausting stress of throwing the perfect birthday party? Or spending way too much money on expensive, fancy gifts? Or will you want to remember the precious memories you made with good friends and loved ones? Stress might be inevitable during the holidays and other special occasions, but finding your zen amid the chaos can help ensure you’ll look back on these moments fondly. Magnolia Potter is from the Pacific Northwest and writes from time to time. She prefers to cover a variety of topics and not just settle on one. When Magnolia’s not writing, you can find her outdoors or curled up with a good book. Chat with her on Twitter @MuggleMagnolia. 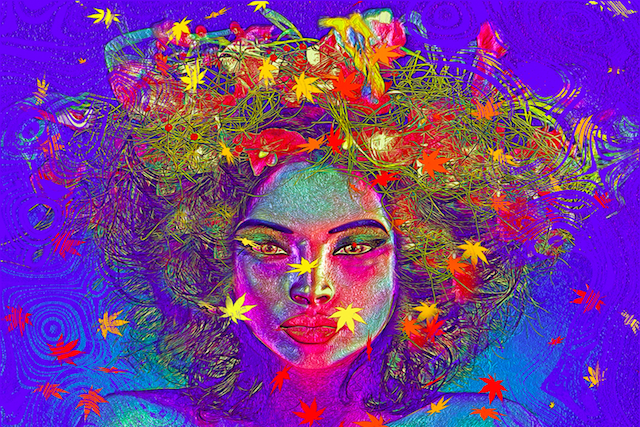 The post 10 Signs You’re Being True to Yourself appeared first on Tiny Buddha.